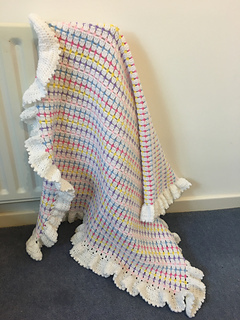 The pattern is written using US crochet terminology, although a UK crochet terminology pattern is also available on a separate listing in my Etsy shop. 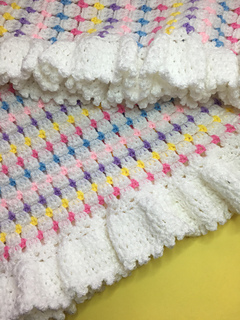 This blanket pattern is worked with dk/worsted yarn. 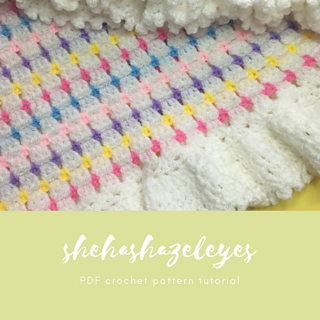 The pattern includes photos to show key elements of the pattern and has 10 pages. 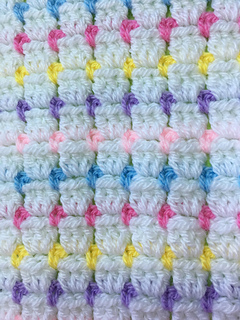 Yarn: Stylecraft Special DK 100g. Yardage: 4 x 100g balls white, 25g approx of five other colours. This is a copyright protected pattern and cannot be shared, sold or reproduced in any form.